Is There Whole Life Insurance that Pays Dividends? Yes There Is! Whole life insurance is a type of permanent or “cash value” life insurance that provides benefits for the “whole” of your life (versus term insurance that only lasts for a specific period of time). Some companies offer dividend paying whole life insurance policies which means the policies pay dividends. These policies are also known as participating whole life insurance, because the policy owners participate in the profits generated by the company, by receiving dividends. Whole life policies have a guaranteed, pre-set annual cash value increase. These guaranteed increases are based on a “worst-case” financial results scenario projected by the insurance company. In a participating policy, at the end of the year, the company does an accounting of the death claims paid, their earnings, and the expense of running the company and the premiums it collected. If they did better than their worst-case projection, they pay the policy owners a dividend. Dividends are not guaranteed, however some companies have paid them every single year for over 160 years, including during the Great Depression. Check out the progression of the annual dividends that have been credited to an actual policy – one which was started in 2005. This is one of numerous whole life policies my family owns. The dividends we received were in addition to the guaranteed annual cash value increases we’ve received every year. Each year we reinvested the dividends, which means we left them in the policy to purchase fully “paid up” life insurance, which is life insurance you’ll never pay another premium on. Reinvesting your policy dividends is a very powerful strategy because it increases both your cash value and your death benefit in the most efficient way possible by buying the lowest amount of death benefit possible. I can hardly wait to see how big the dividends in this policy will be in 10 or 20 years! And I’m thrilled they aren’t related to the stock market so we don’t have to worry about the potential impact the next market crash might have. And my family is using this policy to provide us with a guaranteed, predictable, tax-free income in retirement. 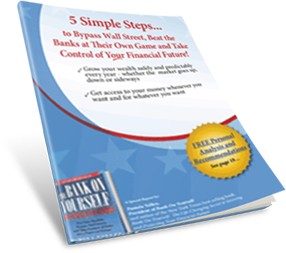 You can learn more about how that works when you download this FREE Special Report, 5 Simple Steps to Bypass Wall Street, Fire Your Banker, and Take Control of Your Financial Future. Get instant access to the FREE 18-page Special Report that reveals how super-charged dividend paying whole life insurance lets you bypass Wall Street, fire your banker, and take control of your financial future. What Are the Best Dividend-Paying Whole Life Insurance Companies? 1. They should offer “non-direct recognition” dividend-paying whole life policies, which simply means they credit you the exact same dividend even when you’ve taken a loan against your policy. Having access to your cash value – to use when and how you see fit – is one of the most exciting living benefits of whole life insurance. When you take a loan from a non-direct recognition whole life policy, it lets you use your money and still have it growing for you as though you never touched a dime of it! 2. 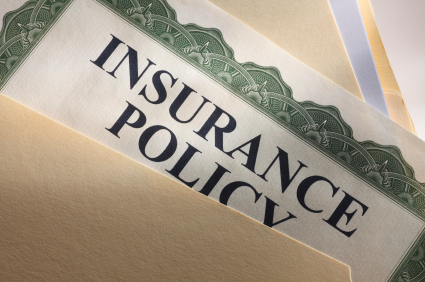 The insurance company should be one of the financially strongest in the country. How do you determine that? A simple and effective way to gauge the strength of a life insurance company is to check their Comdex Ranking, which ranks companies based on the average of all ratings issued by the four main rating services. Look for a Comdex score of 95 or higher, which indicates the company is in the top 5% of all companies ranked. 3. The company should offer a flexible Paid-Up Additions Rider (PUAR). Why is this important? You see, the policy I described above is not a “traditional” whole life policy. It is a high-cash-value, low-commission dividend-paying whole life policy that grows cash value significantly faster than the kind of whole life policies that Dave Ramsey, Suze Orman and most financial advisors and insurance agents know about. In these “supercharged” whole life policies, at least 50% of your premium will typically be directed into a Paid-Up Additions Rider, along with one other rider, that results in your policy having both more cash value and more death benefit over time. But some companies that offer this rider don’t give you much flexibility in paying for it, and others do. You want a company that gives you flexibility in paying into your PUAR. When you work with a Bank On Yourself Authorized Advisor, your policy will be structured to help you reach your long-term and short-term goals and dreams – without taking any unnecessary risks. And you’ll know the guaranteed minimum value of your policy on the day you want to tap into it – before you decide if it makes sense to proceed – so you can take a tax-free, predictable income in retirement. And when you work with one of the Bank On Yourself Authorized Advisors, you can end up with more cash and value AND more death benefit – without paying a single penny more in premium! Whole Life versus Universal Life and Indexed Universal Life – Which is Best? One more thing and it’s important – no other type of permanent or cash value policy comes with as many guarantees and advantages as whole life insurance. The only part that’s not guaranteed is the dividend (which is why we recommend using a company with at least a 100 year track record of paying them). Universal and variable life policies have an investment account wrapped up in them. Most people already have way too much of their savings invested in the stock market, which is one big reason so many Americans are in the financial pickle they’re in today! Although whole life insurance is not technically considered to be an investment, the rate of return of a properly structured Bank On Yourself-type policy is enviable – and doesn’t have the risk of stocks, real estate and other traditional investments. In fact, this video reveals how you would have to get a nearly 10% annual return in a tax-deferred plan like a 401(k) or IRA to equal the return of a properly structured dividend paying whole life insurance policy. A properly structured dividend-paying whole life policy gives you more advantages and guarantees than any other type of cash value life insurance policy or traditional retirement savings account. No two policies are alike – yours would be custom tailored to your unique situation, goals and dreams. Find out how much your financial picture could improve with a properly structured supercharged policy by requesting your FREE Analysis today!